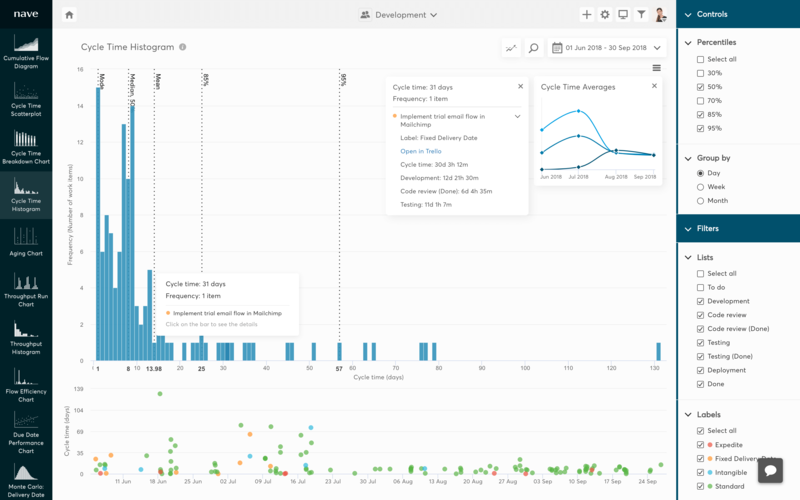 Cycle time histogram for Trello by Nave shows the overall distribution of the completion times of the tasks in your process. A typical cycle time histogram usually has a big hump on the left and a long tail to the right. If the spread of your data is too wide, it means that you have too variability in your process.